Pancakes are a truly international dish. Most countries have their favourite version. I have been eating my way around the world via pancakes. This page has the ones I have managed so far. Pancakes normally combine egg, milk and flour. Depending on the country they can either be thin and flat or light and fluffy using a raising agent. Pancakes are very versatile and can be sweet or savoury. Check out the Japanese version which is one of their favourite street foods. In the UK pancakes used to only be cooked on pancake day. Pancake day is the day before the start of lent. 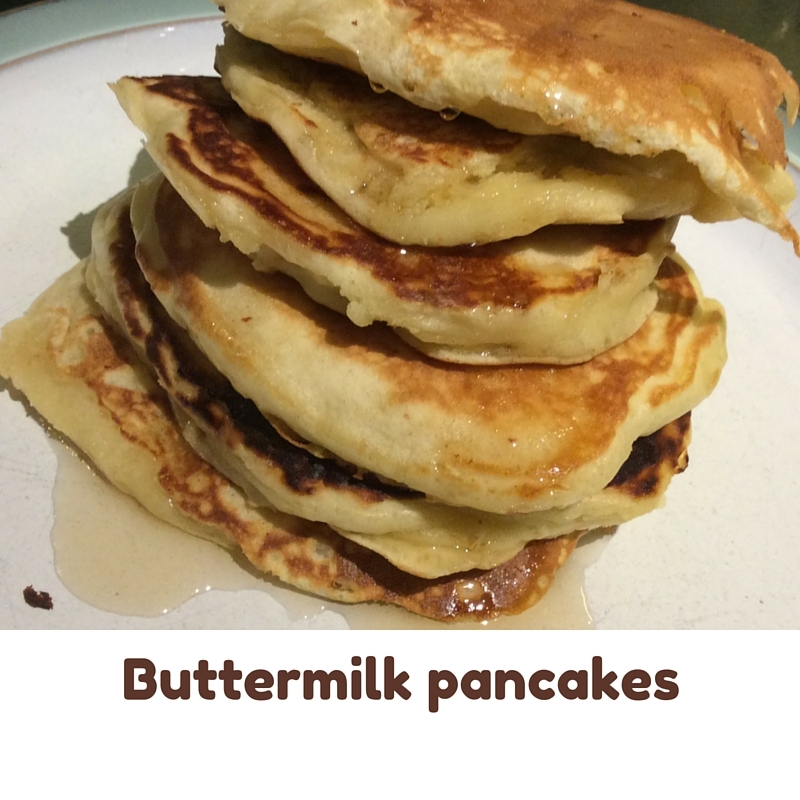 Pancakes are a great way of using up eggs which you wouldn’t be able to turn into cakes during lent. The traditional British Pancake is very thin and is usually simply served with lemon juice and a sprinkling of sugar. A Japanese pancake unusually combines vegetables with a pancake batter. Different regions of Japan have different favourite versions. The one I was lucky enough to try was in Kyoto at a great street food market. For the basic version you need cabbage, spring onions and pickled ginger. Extras can then include prawns and bacon. 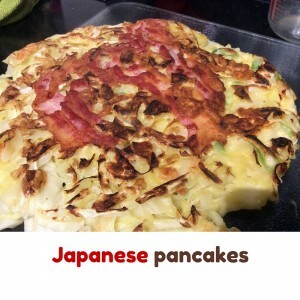 Once cooked the pancake is normally drizzled with mayonnaise and a BBQ style sauce and sprinkled with seaweed and fish flakes. It makes a great light lunch. Buttermilk pancakes are an American classic. 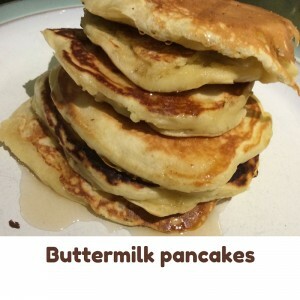 Don’t worry if you haven’t got any buttermilk this recipe tells you how to make it. Great served with maple syrup. 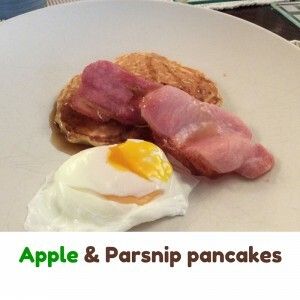 Apple and Parsnip pancakes are a tasty twist on an American style pancake. 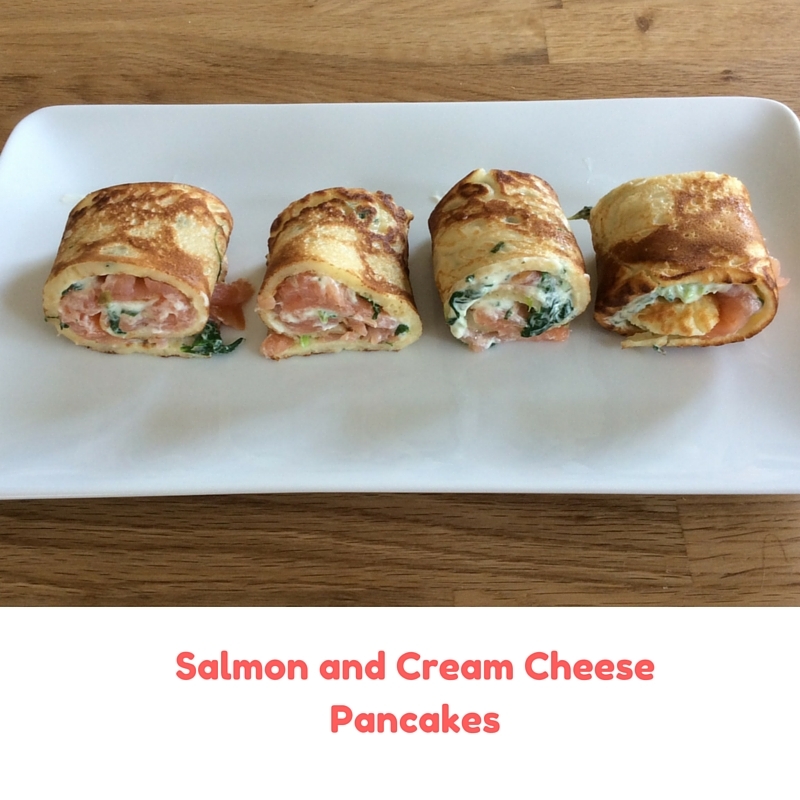 Great for breakfast with bacon and eggs. Dutch pancakes are tiny and delicious and you fill find them at every street food market in the Netherlands. They use yeast as the raising agent so they take a bit on patience to make. 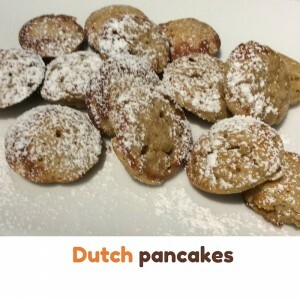 Great served with melted butter and icing sugar. This Salmon and Cream Cheese Pancakes recipe is perfect for a light lunch or as part of fancy brunch. 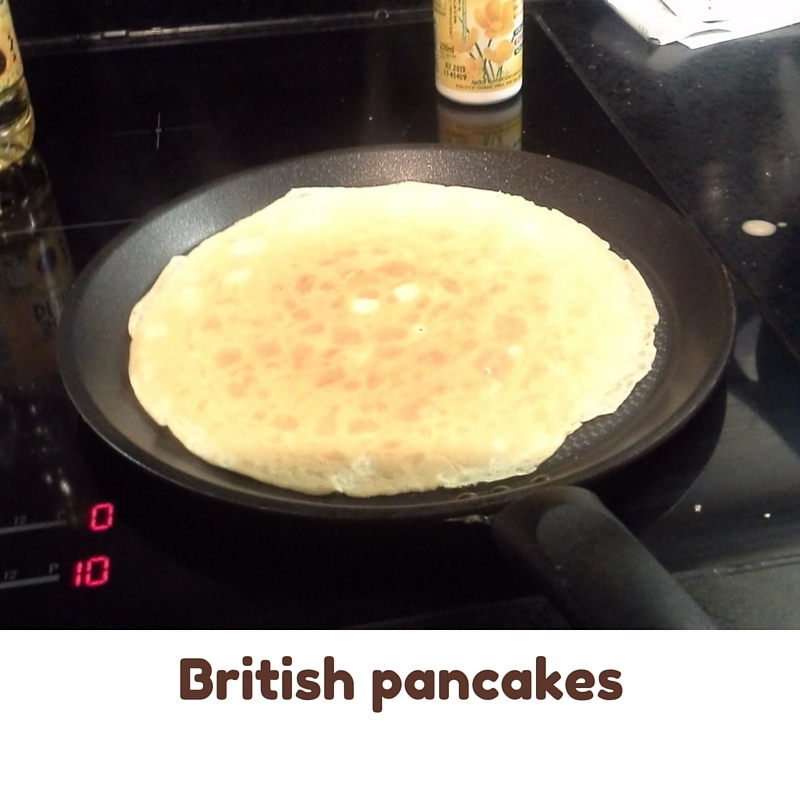 The pancake is a slightly thicker version of the UK classic. You can vary the fillings. Let me know if come up with some good ones. 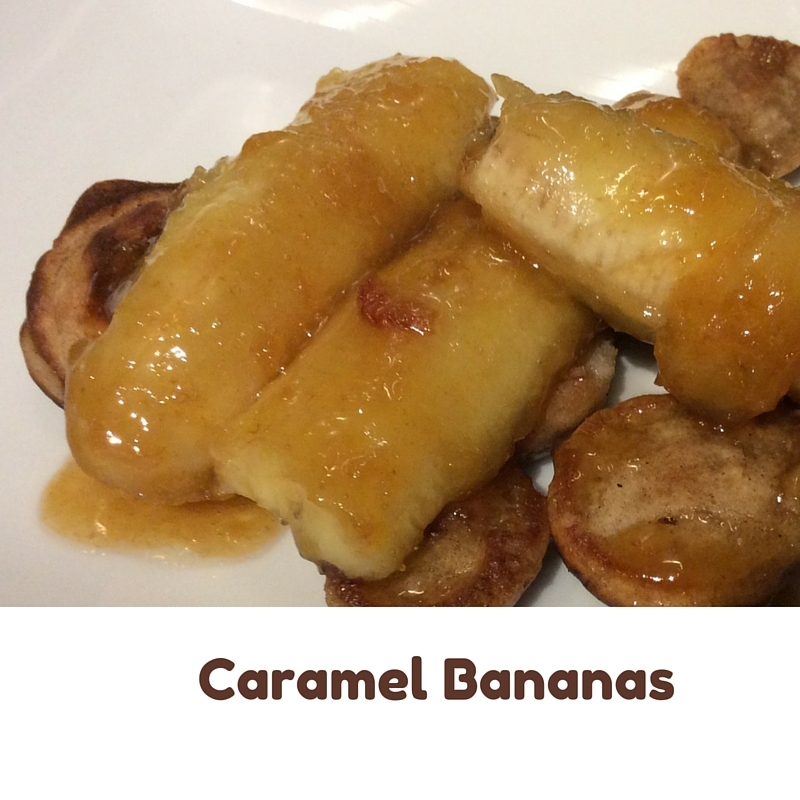 My favourite pancake topping Caramel Bananas ready in ten minutes, great with ice cream as well.